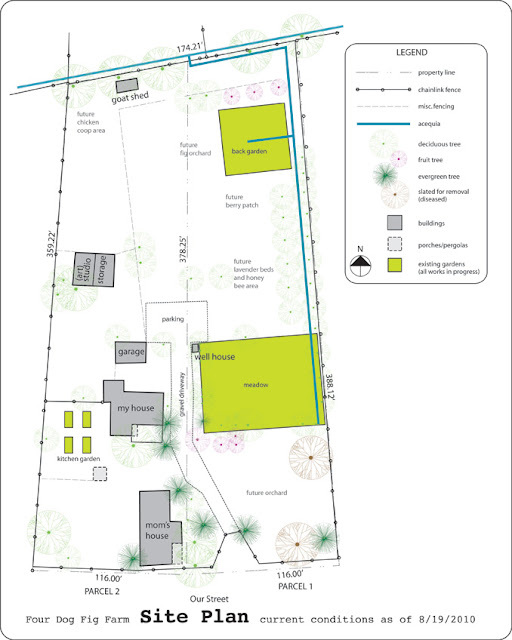 Had I been an organized blogger when I started this site I would have begun my blog with this image -- our property's site plan. Better late than never, here it is. This should answer some questions about the lay of the land around here. I'll get to actual floor plans of each house next. 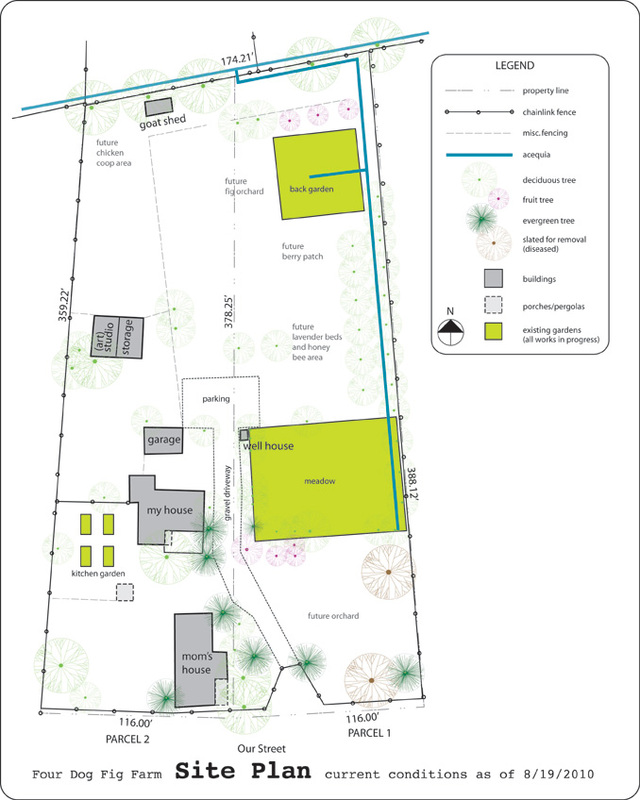 As you can see, it's big for a residential property, but small for a farm. It's approximately 1.75 acres. I use the term farm loosely, as we don't have plans to sell produce, but just to feed ourselves and our friends and families. We'd like to end up having chickens (about 6? ), and one or two goats, and honeybees. Figs, raspberries, an apple orchard in the front and mixed trees in the back (where there are currently three new apricots). Ambitious, yes. Do-able? We'll see. goats? GOATS?! I AM SO JEALOUS! This farm you're making sounds awesome! Oops, just to clarify. The goat shed is old, no current goats. I do want goats though (like two goats). I want to make goat cheese! Plus, goats are so cute. Vintage Kitchen: learn to bake... You'll Love it!